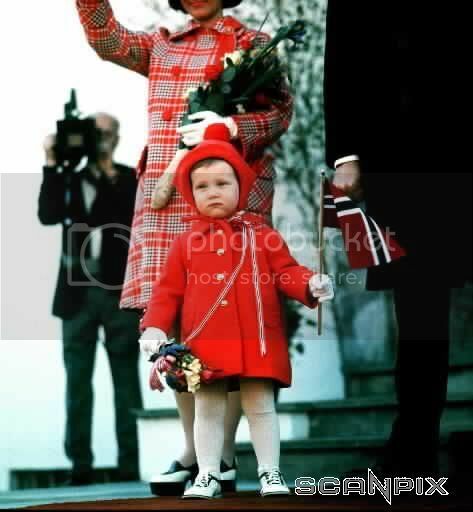 Oslo, May 17th 1992. 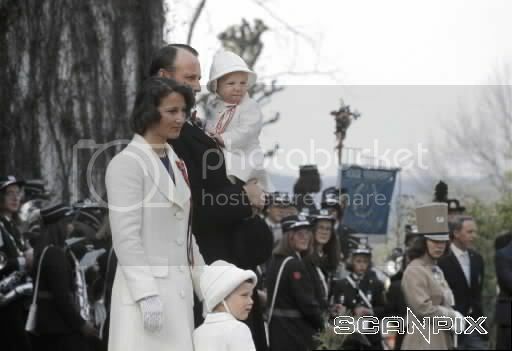 Crown Prince Haakon is &#39;russ&#39;, and takes part in traditional celebrations. On his cap brim you can read his nickname "Måka" - seagull. Prince of the Russ. 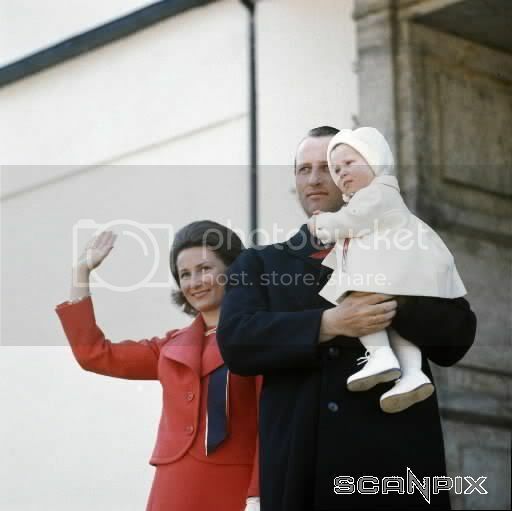 Crown Prince Haakon cheers along with classmates as they pass the palace on May 17th 1992. Haakon is mid-picture, with his cap on backwards. 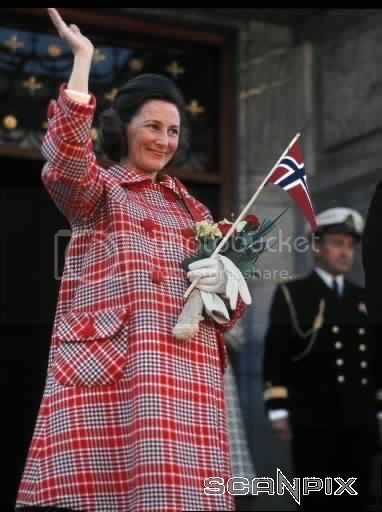 Oslo, May 17th 1994. 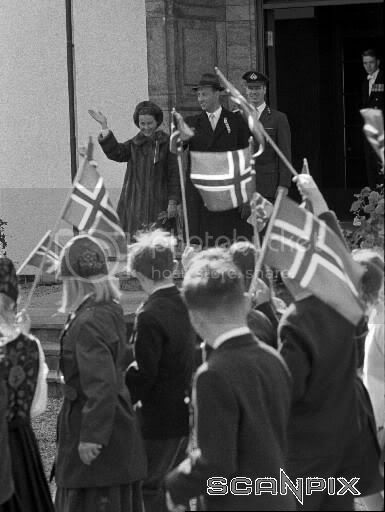 The children&#39;s parade on Karl Johan&#39;s gate. The Palace balcony, May 17th 1995. 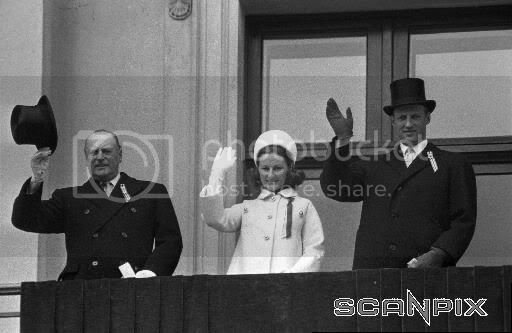 The royal family wave to the children&#39;s parade. 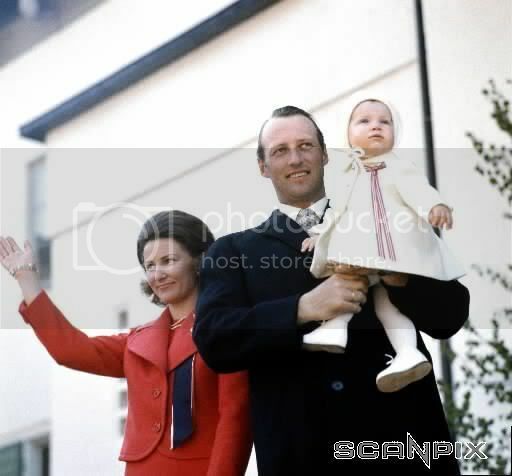 For the first time Queen Sonja and Princess Martha Louise appear in the Telemark bunad. 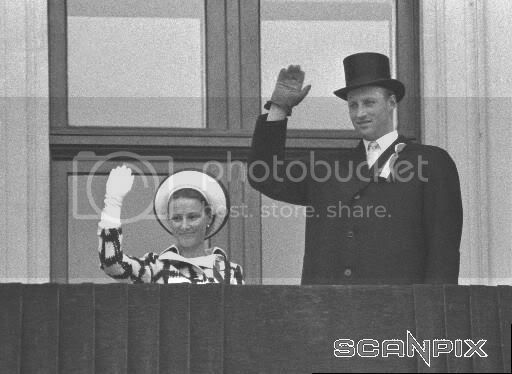 King Harald and Crown Prince Haakon prefer dark suits and top hats. 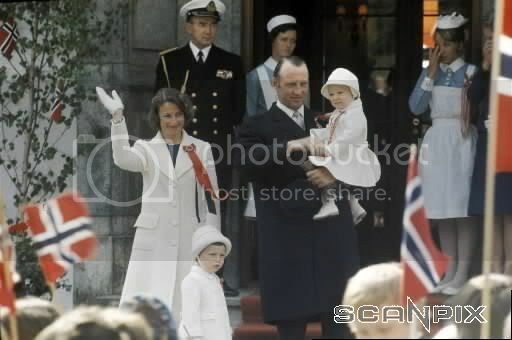 May 17th, Oslo 1997. Children in bunads show their national pride. May 17th 1998. A musician passes by the palace, where the royal family are waving to the crowd. Trondheim, May 17th 2000. Marthe Johannessen of Lade School&#39;s band, has an off moment with her baton. 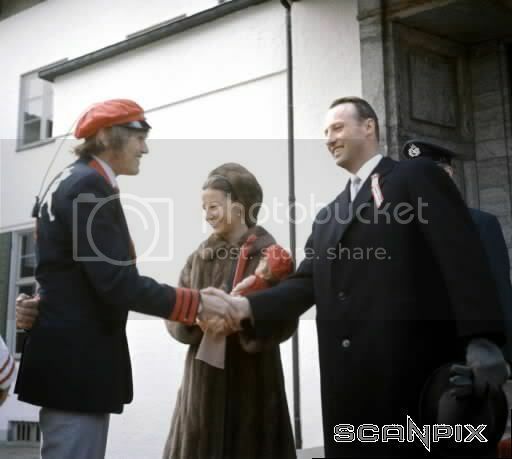 Oslo, May 17th 2000. A view over the crowd gathered in Karl Johan&#39;s gate during the children&#39;s parade, seen from the palace. Oslo, May 17th 2001 The parade on Karl Johan&#39;s gate, approaching the palace. Oslo, May 17th 2001. 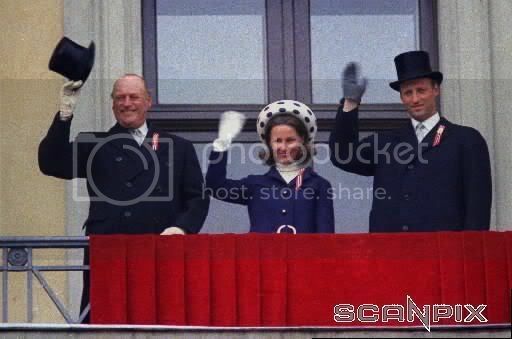 The royal family wave to the children&#39;s parade from the palace balcony, and the children raise their flags in salute. Oslo, May 17th 2001. It&#39;s not easy being three years old on May 17th. After hot dogs, ice cream, popcorn, buns, cream cake, waffles, chocolate cake and soda pop, young Herman was finished by 5 pm. Oslo, May 17th 2002. 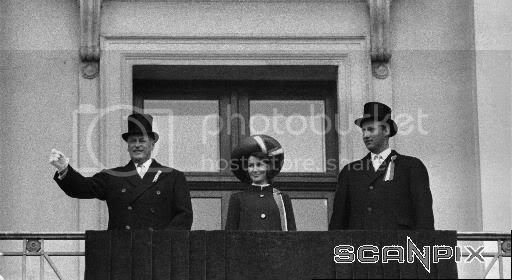 High hats hide sunburn as the royals salute the crowd from the palace balcony. 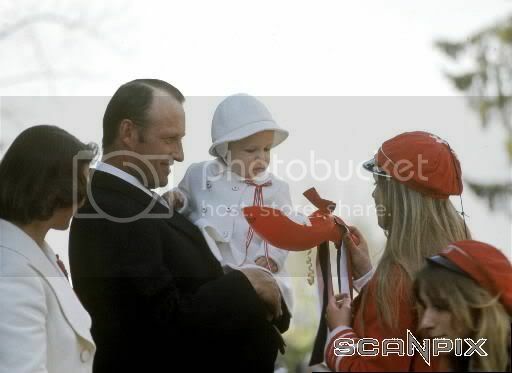 Crown Princess Mette-Marit had to cut her duties short due to injuries she and Crown Prince Haakon suffered during a hot interview with German TV. Trondheim, May 17th 2002. 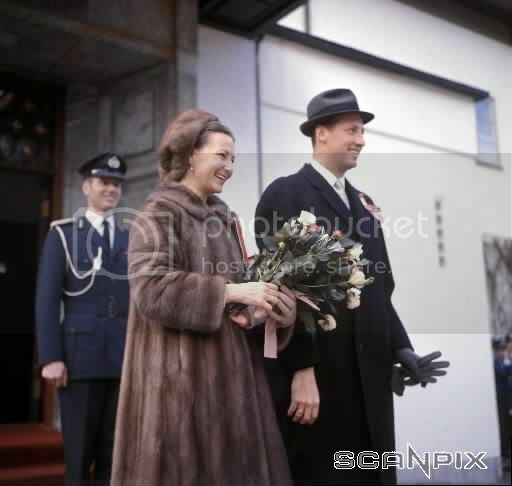 Princess Martha Louise and Ari Behn received a warm pre-marriage welcome when they turned up to celebrate the day in Trondheim, the site of their eventual wedding. Trondheim, May 17th 2002. 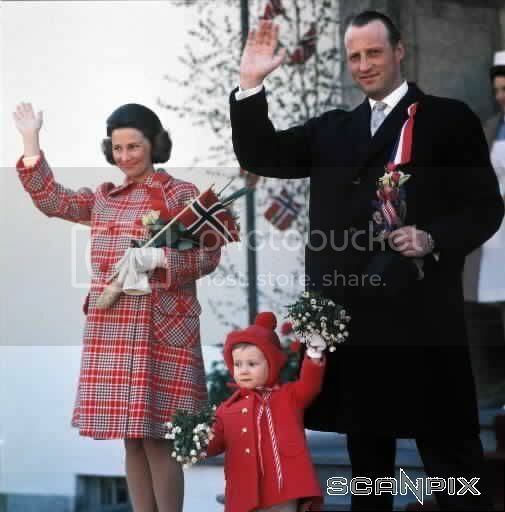 Princess Martha Louise and her fiancé, author Ari Behn, celebrated the national day in Trondheim. Here the princess watches the local children&#39;s parade. how long does the royal family stand on that belcony? These pictures are really very lovely! I really like the children's parade... I can't wait for Alexandra and her brother to take part in them!! May-June is definitely the time to visit Europe!! Thanks for all the pictures Mandy! 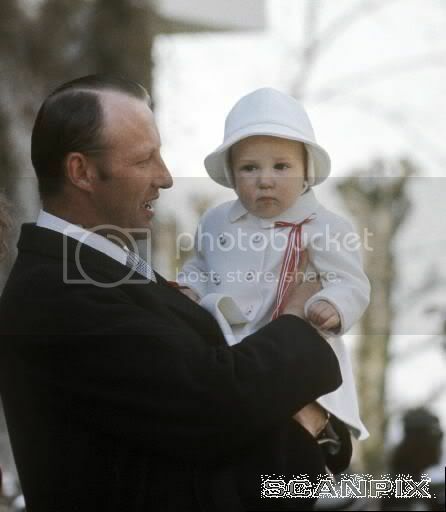 I collected a few pictures of the Norwegian Royals celebrating May 17th during the years.